The writer is ignorant, confused and uncertain about the Federal Constitution of Malaysia vis-a-vis constitutionalism. The writer makes an inappropriate comparison between the US Constitution and ours. The US perfected a system of propaganda geared towards advancing the almighty dollar by using the Constitution as an excuse, a reason, an explanation, and a justification under the cliche “rule of law.” The US treated its Blacks and Orang Asli as if they were inhuman and unfit to breathe the same oxygen. Greelings in the name of our Lord and Saviour Christ Jesus. Brothers and sisters in Christ, let us not be misled by the assurance uttered by certain quarters that we can use the word ‘Allah’ to refer to God in Sabah and Sarawak. It is more than just about a word; it is about the fundamental right to worship God in the way we have been doing for generations without hindrance. Reza Aslan says Christians using the word Allah do not pose a threat to Islam. – Pic courtesy Wikimedia Commons / Roanoke College, October 22, 2013.A well-known American Muslim theologian has joined a long list of critics over the recent Court of Appeal ruling on the use of the word Allah, saying it was a “political decision more than anything else”. “This notion that Malaysian Muslims need to be protected by the court because you can’t think for yourself, you can’t make decisions on your own. 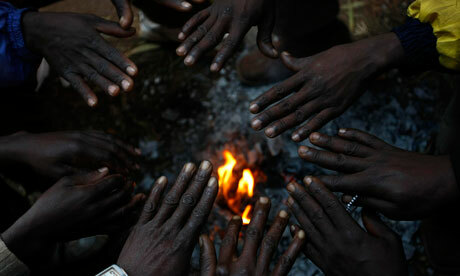 We are laughing at you,” said Reza Aslan, speaking on BFM Radio’s Evening Edition programme yesterday. I read that quote recently from a video documentary made in Reagan’s honour after he left office. It was not a particularly famous quote and only one of many highlighted in the video. However, it was one which struck me and left me deep in thought of its sublime message. The ‘Allah’ judgment means the rest of the Islamic world is all wrong. Wow, what a moment – Jakim/Umno have seen more light than the rest of the world! Why don’t we have such charity shops in Malaysia? I wonder for the millionth time. The answer is, because we have such bloated, competitive egos. Ikatan Muslimin Malaysia (Isma) has warned Sabahans and Sarawakians of certain evangelist groups out to sour relations with penisula Malaysia by stirring up discontent in the two states following the Court of Appeal decision banning the use of ‘Allah’ by Christians. Isma president Abdullah Zaik Abd Rahman (left) urged bumiputeras in Sabah and Sarawak to defend unity and not to be taken in by certain groups, particularly Christian evangelists, who he said were taking the opportunity to sour East-West relations. 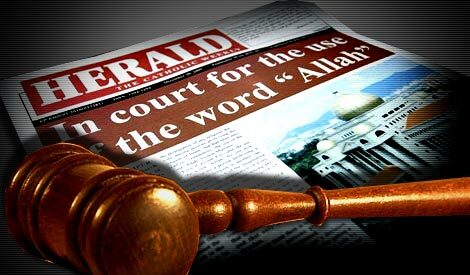 As the hearing date of 10 September 2013 ( Today ) for the appeal by the Government of Malaysia against the decision of the High Court of Malaya to allow The Herald newspaper to use the word “Allah” fast approaches, the Christian Federation of Malaysia (CFM) notes with grave concern the calls by various groups to “defend” Islam from being insulted and threatened. In January 2010, I wrote a column with an almost similar title. But then it was allegorical writing, and I would have thought that most of proponents of this “claim of intellectual and patent rights for the God-word ‘Allah'” would have understood the nuances of why we should not do it. Obviously, I am not as well-read as I would like to think. Therefore, those for whom: “tak makan cili dan tak rasa pedas“, please read the original column here. People who make a great deal of fuss about religious rituals and words are often seeking to draw attention away from the issue of whether they are actually practicing the religion itself. They hope that by making a lot of noise about such outward matters they will convince people they are religious, when in fact they may be stealing and lying and a lot of other things utterly forbidden by the prophets, who were largely unconcerned by form and ceremony. The reason why I write this short article is to dispel all doubts about facts, truths and rationality in the use of the word Allah, a non-issue really. It becomes an issue when it is being politicised which is the case in Malaysia. This article is not intended to be polemical. First, allow me to make a few introductory remarks. Disputation in Malaysia over the kalimah Allah, the name of God, has not abated. On the contrary, it continues to become ever more acrimonious and worrying. These days we now even have some enthusiastic “idealists” who give advance notice of their readiness for a virtually premeditated amok — or to excuse others who might resort to that kind of intimidatory violence — in order, paradoxically, to uphold their notions of moderation, mutual acceptance and tolerance in interfaith relations. The raging ‘Allah” issue has left this writer wondering if Jakim and National Fatwah Council clerics who can both “see and read” are “blind”. When I was young, my teacher told me that if I want to study facts I should take up archaeology, but if I want to find out what truth is all about I should choose philosophy. He said these are the notion and role of an Islamic state currently being promoted by BN/Umno and PAS but both ways are “problematic” as there is no real debate on the issues here.Well-known sociologist Syed Farid Alatas says that one of the greatest dangers facing Malaysian society is the rise of Muslim extremism – Wahabism and Salafism – or legalistic thinking that reduces citizens to rules and regulation. “There is not much difference between Umno and PAS, except that the former gives excuses that we can’t have an Islamic state because we are a multiracial society,” said Syed Farid (left), an expert in the area of the sociology of religion. Proposition 1: We respect the right of PAS to spell out clearly its theological position on Allah. Proposition 2: We respect the right of people of different faiths to interpret their holy books and profess their faith in their mother tongues. Proposition 3: We must go beyond polemics in addressing the Allah controversy. Mohd Asri (picture) highlighted that Jews and Christians in the Middle East have been using “Allah” from long ago and continue to do so without any confusion — an argument adopted by non-Muslims in Malaysia, particularly the churches. Muslims who dispute the use of “Allah” by non-Muslims are those confused about their own faith, popular Islamic scholar Datuk Dr Mohd Asri Zainul Abidin said in a recent lecture as the religious row on the subject continues to hog headlines nationwide. There is an insidious trend in some parts of the world, particularly in the West, where a significant group of people comprising differing social strata and affiliations voice their disbelief in the existence of God or that the universe is a product of divine design. Some among these people demand the rights to marry the person of their gender, to choose when and how to have babies and the freedom to end their lives should they find lives too unbearable as a result of sickness. The Council of Churches Malaysia criticised PAS for its about-turn to disallow non-Muslims from using Allah in holy books as a show of power by the majority. The PAS Syura Council’s decision to ban non-Muslims from using Allah in their holy books have drawn fire from the Council of Churches Malaysia (CCM). Its secretary-general Rev Hermen Sastri said the controversies surrounding the issue were “a show of power of the majority”. The contention from various organisations and bodies such as Jakim, Umno and PAS that using the term Allah is the exclusive right of Muslims has no religious basis. Many Muslim scholars and politicians fear that the Bible and related publications using the word “Allah” as God will influence and confuse “innocent” Muslims, making them susceptible to being converted to Christianity. Here we go again… Every now and then, this matter will see the light of day. This time around, Penang Chief Minister Lim Guan Eng brought it up in his Christmas message. I personally agree with his sentiment. We should all share the word Allah and make it the universal name for God. As far as the Quran is concerned, this verse explains the universality of Allah clearly. 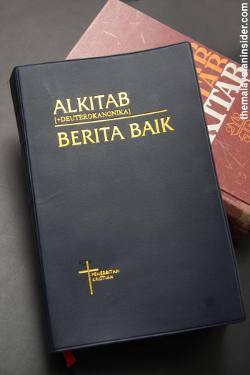 The BM Bible or the Alkitab is not translated from the English Bible but from the original languages, i.e. Hebrew and Greek. The Hebrew word for God is El or Elohim (similar root as Ilah in Arabic) and YHWH or Yahweh for LORD. The Greek words are Theo for God and Kurios for Lord. SHUT UP HARUSSANI! Don’t make Malaysia more of a loony bin than it already is! It’s confirmed now that Malaysia has become one big loony bin! This is the only country in the world where politicians and government lackeys such as Perak chief cleric Harussani Zakaria have nothing better to do than to quarrel over who and who cannot use the term Allah for God in print in Peninsular Malaysia i.e. in this case in Malay print in the Bible. Is it not imperative to emphasise the significance of the spirit of Christ in our hearts during the Christmas celebration? Christmas is just around the corner and it may come as a surprise that many people never reflect on why they believe or do what they do during Christmas. They basically do what the majority of the Christian faith does or what everybody else does because it is easy and the most natural way to follow. I have to repeat some of the issues and themes that I have done in the past. Most Malays are at the stage where issues such as corruption, abuse of power, the rottenness of the system that UMNO upholds feature less in importance than the overriding issue – will Malays be all right? In Islam renouncing Allah is an act of treason of the highest order against God. In the philosophy of science, there is one really big action word: Anthropomorphise; which is when one uses human traits, attributes or thought patterns, and frameworks to describe another object of focus.